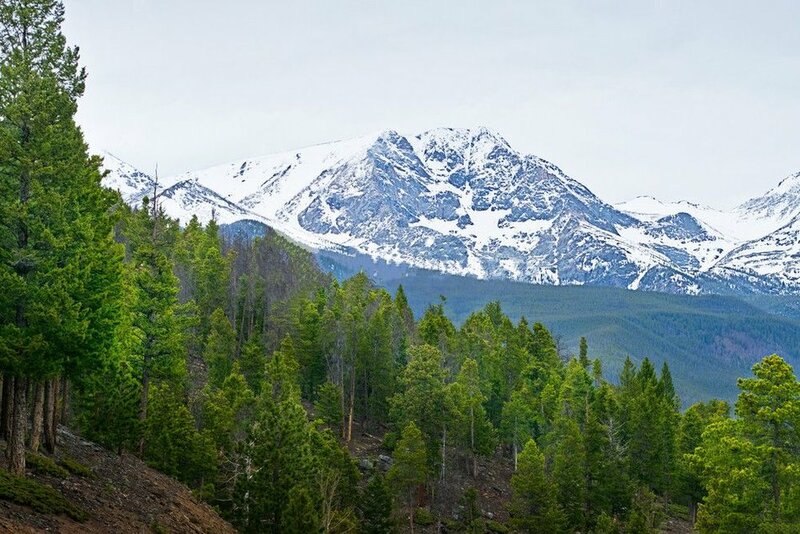 There are a wide variety of mountain biking trails in Colorado from which to ride on. But which ones are the easiest and best for beginners. 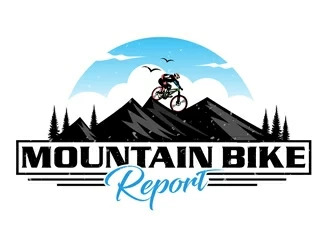 If you are new to mountain biking then riding on advanced trails can put you at risk of getting into an accident, plus your confidence will be reduced after such an experience. Therefore I have found the most basic trails in Colorado for you to ride. The Zapata Falls trail is technically easy to ride through because of its smooth singletrack path. You won’t get too tired because the trails are pretty level, not much of an increase in elevation at 350 feet. Beginner mountain bikers will like it, and can even bring their whole family. You will ride through pinyon pine and juniper forests, plus scrub oak trees. You will also come across some rocky sections which are not very long and easy to get through. The singletrack is nicely maintained and made of hard-packed dirt. Hard packed singletrack will give you better pedaling power to go fast if you want. There are 4 loops you can ride through. The main loop is 2.5 miles long which includes parts of all the 4 loops. Within all the loops there are 4 miles of trails which you can ride through and you won’t see the same thing. You can ride through larger or smaller loops depending on which way you go. As you go through the Zapata Falls trail you will get a nice tour of the Sangre de Cristo Mountains, the Great Sand Dunes, and the San Luis Valley. Its not too often that you get to see mountains, sand dunes, and a valley all on the same trail ride. Plus don’t forget the waterfalls. The Heil Valley Ranch is pretty simple to get through technically. The trail is a singletrack which is fairly wide, and the path itself has a smooth surface to ride on. You will need to put in a little more effort but not much. The elevation goes up to 847 feet compared to Zapata which goes to 350 feet. You will be mountain biking in and out of meadows and ponderosa pine forests. You will encounter dirt roads and singletrack. With its smooth riding surface and 3 foot wide trail you won’t need to focus on the trail, you can relax, look around and enjoy the area you ride through. The main loop known as the lariat loop is 8.1 miles long. This loop includes the Lichen Loop, the Wapiti Trail, and the Ponderosa Loop. Begin riding on the west edge of the Lichen Loop trail which is a dirt road. This part of the loop is great for family gatherings. Other parts of this loop are not for bikes. The elevation starts to increase as you go Northwest on the Wapiti Trail. This trail will begin to become flatter after you have been on it for almost 1 mile. At that point you will go through a ponderosa pine forest. As you go through the Ponderosa Pine Loop you will be under a dense cover of forest. This is great on sunny days. Towards the end of the loop you will be happy to go down in elevation. This downhill ride takes you on a smooth singletrack trail. For beginners who like a smooth wide singletrack, then Betasso Preserve is for your riding pleasure. In order to challenge you a little there are a few short hill climbs, but nothing you can’t handle. The hill climbs are a nice change as the elevation goes up to 1200 feet. You will be riding on singletrack as well as double track. This will be easy as you go through hard-packed forest terrain as well as rolling over pretty open meadows. On such a smooth trail along with packed earth on the path, you can feel comfortable even on a hardtail mountain bicycle. The entire loop is 7.3 miles long. You will start at the Canyon Loop which is a broad flat singletrack. Because of this it is perfect for adults as well as kids just starting out, even 8 to 10 year olds. Next are the Link Loop and Benjamin Loop which are conveniently the next step up in terms of technical difficulty. These two loops can be rocky and sandy in certain spots. As you go along you will be able to see views of Flagstaff and the Green Mountains. You’ll go through a mixed conifer forest. Going up and down, then up and down again until you go through a sage filled meadow where you can rest, relax, eat and drink. If you are a beginner and ready to move up to the next level gradually then go to the Cheyenne Mountain State Park. It is easy to go through on parts of the trail, but then there are more moderate sections technically when you get to the Blackmer Loop and the Cougars Shadow Trail. Where it is challenging is when you go through sandier and rockier sections. You will come across this terrain when you ride through low lying open meadows and thick forests. These sections can help to improve your skill level on rougher terrain while you also enjoy viewing the great outdoor environment. Your endurance will be tested a bit more on this trail as it is 12.1 miles long. You can also go through short lariats on a few side trails along the way. As you begin you will go up Pike Peaks Gravel which is easy terrain as you go through low grasslands. Continue on to Talon Trail as it gives you a smooth ride. Be prepared when ever you come across a blind curve because that is where you will find the rockier sections. At this point you will need better bike handling skills to get through this section. Take it slower if you need to and you will get through it successfully. The highest point of the park is only 753 feet, so not too physically demanding, and the technical parts are short. The Bockman Campground Loop is fairly easy to ride especially since the path goes over a forest service road. This is pretty simple technically, you won’t need much bike handling skills. But where it gets more difficult is along a 2 mile stretch where you will be climbing uphill consistently. The elevation gets up to 1200 feet. You will come across a variety of terrain, such as paved highway, dirt roads, and tougher jeep roads. Be sure to ride the loop during the week when their is less traffic from motor vehicles, the weekends get busy. Also, lookout for any drainage dips which were put in place of ruts and washouts. The full loop length is 19.9 miles long. The first one and a half miles you will go downhill slightly where you will go by Nokhu Crags and see the Seven Utes Mountain. Further down you will see a pine tree which is always decorated for Christmas. Then you will come across the Moose Visitor Center. Now you will go through a lodgepole pine forest and you will be riding on a dirt road. This area has a proud history of logging and there are at least 1,000 moose in the area. You will continue through thick forests until it thins out. Then at 16.5 miles the steepest part of the trail starts where you will be going uphill for 1 mile. It then becomes flat and you finish by enjoying a ride going downhill. The back side of Emerald Mountain is great for new riders of mountain bikes. Its a very clear smooth singletrack with no obstacles. It is known for having a high flow factor for mtbs. Physically this trail can be a challenge, but a moderate one as the elevation goes up to 2196 feet. You will ride on solid packed earth which is great for speed. The singletrack is not just a straight line, but flows left and right. You will go through open meadows, aspen trees, oak trees, and mixed conifer forests. This loop is a combination of 3 back side trails which total 16.1 miles. It is considered a purpose built trail system. This trail is generally quiet and less crowded than the front side of Emerald Mountain. You will begin by riding on the Beall Trail, and know you are going the right way when you pass a pond on your left. You will go through some switchbacks which are no big deal to handle. After 7.5 miles you will come across 2 benches which will give you a great view of Flat Tops Wilderness Area. When you get to the Ridge Trail you notice it is a fast descent on a dry singletrack. Finally the Rotary Trail offers sage filled meadows and bramble oaks. It is a fun downhill as you go through switchbacks and turns. The North Fork Trail is generally easy to ride on due to its high flow factor classification. This trail is a singletrack which has many curves and turns. There are a few technically moderate sections which include more sandy terrain. The route can be tiring because it is long and has some steep sections. Elevation increases up to 2523 feet. The terrain of the trail is varied offering singletrack, doubletrack, and some paved road. Beginners will appreciate the smooth narrow singletrack and doubletrack trails. But you won’t be bored as you ride along hillsides, in and out of forests, and on top of some sandy areas. Expect some fun as you splash through some small creek crossings. The loop is a lariat and is 20.3 miles long. You’ll start by going North over narrow singletrack and continue through hillsides of the South Platte. After only 2 miles you will come to a deep covered forest scattered with wild flowers and mixed conifer trees. It will be smooth going with rock free singletrack. You will see beautiful views of the Cathedral Spires and go from singletrack to doubletrack and back to singletrack. As you go on Hummingbird Trail you will come across some steep switchbacking terrain. Keep going for nice views of Banner Peak, Kennedy Gulch, and the Pike National Forest. For beginners with some riding under their belt the Picket Wire Canyonlands is a good trail. Its technical rating is easy to moderate because the first 500 feet and last 500 feet of the trail has some steep rocky and sandy terrain. You will start by going down, and end by going back up, with the highest elevation point at just 600 feet. You will be riding on a doubletrack at first on a steep and rocky trail. When you get to the canyon floor you will be on a dirt road. You will ride through tall and thick stands of vegetation, basically tall grasses. The rest of the way is pretty simple to ride over mostly rock and sand. This trail is not a loop, you need to ride out and then turn around and ride back the way you came for a total of 18.2 miles. Most of the trail is at a lower elevation above sea level at 4660 feet compared to other trails in Colorado. The desert bottom is hot and dry and you will sweat a lot. Be sure to bring a lot of water with you. As you ride you will be able to see the Purgatoire River, maybe you want to jump in. After 4 miles you can see what is left of the Dolores Mission. Continue another mile and a half and you can the the biggest area where there a dinosaur footprints in North America. Pretty amazing as you go back in time. Once you reach Rourke Ranch you can go back the way you came. The Falcon Trail is generally simple to ride on technically. There are some rockier areas which then increases the rating to moderate. They are not too tough to handle for newer mountain bikers. The elevation does not increase much topping out at 734 feet, so not too much huffing and puffing. This trail is located inside the US Air Force Academy and is a singletrack. You will ride through an open plateau. Plus a shaded forest which is a nice break from the hot sun. You’ll also encounter some dirt roads as well as cross over a few paved roads. At 8.4 miles be sure to avoid the hike a bike section if you want, by taking another route. This loop is a moderate length at 13.4 miles. At the start this singletrack is fast and smooth. You will go down through woodlands and continue on to grasslands. After around 2 miles it becomes more challenging as the trail gets rockier along with switchbacks. After which you will climb slightly to a plateau. On the plateau you will be able to see Air Force Academy’s chapel. Going down from here you will ride through more switchbacks. You’ll need to handle some rocky, sandy terrain. You can see the Cadet Field House and athletic centers. You are done when you cross Academy Drive which goes to Falcon Stadium. Technically the Prince Creek Area is not difficult, but there are some moderate sections on this singletrack which are tougher. Such as curves and turns, slopes, and rockier areas. Physically the trail is rated as easy to moderate as the elevation rises up to 1058 feet. This rise is gradual, so no trouble. Your journey will take place on a hard dirt packed singletrack which can be narrow at certain parts. You will ride through open meadows, pinyon-juniper woodlands, oak trees, aspen stands, and along Prince Creek. Such a variety of terrain will keep you focused and excited for what comes next. Be sure to take pictures. For beginners with not a lot of endurance this trail is a quick 7 mile run going out and back, there is no loop. You will start going up dirt Prince Creek Road, then you will hit the Monte Carlo Trail which is a tighter singletrack. Finally the Skill Saw Trail where you will ride right along the creek. In many places you will see primitive campsites. You can try a downhill only side trail called Father of Ginormous. After almost a mile you can see Mount Sopris, which has twin-peaks. Once you get to the turn around point you can go downhill and have a great time going fast and see anything you missed on your way back. In order to ride the Zippity Do Da Loop you should be more of an advanced beginner bordering on intermediate because even though it is not technically difficult there are steep grades and exposed slopes. You will need to consistently keep a straight line on edges of ride slopes which are quite steep. The trail is a well packed singletrack which is flowy and flat, but sometimes there are steep hills causing you to pedal up, over, and down them. The terrain is something like a desert. Physically it is not so hard, but mentally you will need to focus more as you get to the more narrow singletracks along a ridgeline. This loop is relatively short at 8.2 miles long. You’ll start by going on the Zippity Trail on smooth singletrack and on through sage-filled meadows. Once you get to Kessel Run you must descend, it is a directional trail, downhill only. Next is the Zip Off Trail which is more flowy and curvy, some bike handling skills are needed. After 2 miles you will ride through a dry creekbed which is very easy to ride as you get closer to the Western Zippity Trail. This trail climbs a bit with the highest elevation at 1085 feet. Now you can see the Book Cliffs, a 2,000 foot high mountain wall. Save your strength for the end of the trail because you will encounter a narrow ridgeline descent. There will be a few of these steep, sandy, rocky declines before you can relax from the fun excitement. Technically Sand Canyon Trail is basic to moderately difficult because it is man-made and consistently maintained. There are switchbacks and rockier sections. Physically it is not too tough as the elevation only goes up to 1200 feet. But this area is semi-dry, the heat is what will make you more tired. You will be riding on a singletrack which twists and turn its way through a dry desert landscape. Various types of terrain include sand and slickrock, so be sure your tire pressure is right for the best traction. Plus you’ll ride on hard-packed dirt and biological soil crust. Living organisms are mixed in with the soil. Just ride out and then ride back, the trail is 7.2 miles long. You’ll start off by riding on slickrock, follow the stacked rocks as markers until you get to the wide singletrack. Go through the pinyun-juniper forests and sagebrush. Eventually you will come to cryptobiotic crust, which is a delicate life form. Before you have ridden 3 miles you will be able to see 4 Puebloan cliff dwellings. Near the 4th cliff dwelling is the turn around point. Be prepared for sandier, rockier, and steeper terrain. Amazingly there are at least 30 switchbacks to twist through. It is so twisty that you may be better off hiking it. After that you can turn around and come back the way you came. Phil’s World is considered to be an easy to moderate trail. Some sections are rated as average to challenging so beginners may want to avoid these sections. Physically you will need some effort as it is classified as simple to moderate with the elevation going up to 1300 feet. Pace yourself as you climb upward. This trail is a singletrack and the path is hard-packed dirt. You will go through sage brush meadows and enter pinyun-juniper forests. For parts of the trail you will ride on sandstone. Other times you will ride in and out of arroyos, which are steep sided gullies cut by running water. Also mesas, which are raised areas of land with a flat top. The main loop is a little long at 18.5 miles. It was built by mountain bikers for mountain bikers. All the loops are ridden in a clockwise direction, only one way. There are 28 miles of trail in total. Once you pay the daily rider fee, begin by going through the pinyun pine forest, with the first couple miles being simple and smooth. You’ll be able to see the San Juan Mountain Range to the East and the Mesa Verde National Park to the South. You will find some moderately technical sections on Lemon Head Trail. Next you will go downhill into what is called the Maze. There is some twisty turns around narrow corners to have fun with. Once you get to the Elbow beginners may want to take it easy. There are slickrocks and rock drops which is the challenged terrain I told you about earlier. If you can get through that you will be happy with a great view afterwards of the La Plata Mountains. At the 14 mile mark called The Maxxit, you can go fast and smooth through bermed curves. Continue on to the Rib Cage where the fast fun continues with more flowy trails and bermed turns. This goes on for 3 miles until your fun is complete. Technically Ridgeway Area Trails are good for beginner and intermediate riders. It has a rating that is high for its flow factor. Its many switchbacks give it its moderate difficulty rating. Physically the trail ranges from simple to moderate. The elevation goes up as high as 1523 feet. The terrain is rather varied. You will be riding on singletrack which is solidly packed and stable. You’ll enjoy three types of environments such as going through pinyun-juniper woodlands, mixed conifer trees, and open meadows. As well as some rolling hillsides where you will see some great views. The main loop is 17 miles in length. As you begin you will start by climbing the switchbacks of the Big Cheese trail which is devoted to only uphill mountain biking. It is a smooth and flowing path which provides good views of the San Juan Range, Cimarron Ridge, and Ridgway. Next you get to the Speedy Gonzalez trail which is of course where you can go fast and quick. Later you get to the Ratical trail which is a flat narrow singletrack and has some technically moderate rocky sections and bermed switchbacks. Mount Sneffel can be seen from this trail as you ride by. Plagueground is quick and exciting as you speed through juniper and sage filled meadows, then continue on to an old dirt road. The best part of this trail is known as the Rat Trap. First you climb to get there then you will go downhill steeply and crisscross a gully. At 16 miles you will enter the Maze and go through a rocky singletrack. After that stay to the right and you are home free. Staunton State Park is an easy to moderate trail technically. It has some advanced areas which beginners may or may not want to try. If you are an advanced beginner and borderline an intermediate mountain biker then give it a try. Physically this trail is simple to moderately tough, the elevation goes up to 2300 feet. The terrain that you will be riding through is the most varied on this list. It is mostly singletrack with parts of the path widening out to become a doubletrack. You will ride through an aspen tree forest, and mixed conifer forests. Plus you will cross rocky creeks, and twist through sandy switchbacks. The main trail is 17.5 miles long and is a double loop. The double loop also consists of 2 out and back sections for shorter rides. You’ll start off with a slight climb on a smooth wide path. As you continue it becomes a narrower rockier singletrack with some switchbacks. Next is the Marmot Passage Trail, where you will ride through ponderosa pine on flat wide singletrack. You can see Lion’s Head Peak. Now you will go downhill and find some rocky terrain and switchbacks. You’ll enter a forest as you go on a dirt road. Soon you will see Mount Evans and Meridian Hill. Next is the Chimney Rock Trail which is quick and intermediate technically and has some difficult terrain. Near the end you will have a little bit of a tough climb, but the view at the top makes it well worth it. The above list of trails has been arranged from easiest to more difficult for beginner mountain bikers. If you are very much a beginner then start with Zapata Falls it is the easiest of the Colorado trails. The next two, Heil Valley Ranch and Betasso Preserve are also very easy. The other trails are technically easy but also have sections which are more challenging, but which advanced beginners can handle as well as intermediates. Each rider is different, so take your pick and have fun and be safe.